Take a good, long look at the appearance of your house from the street. If you haven’t painted in some time, chances are, the exterior is in need of repair and a coat or two of paint. 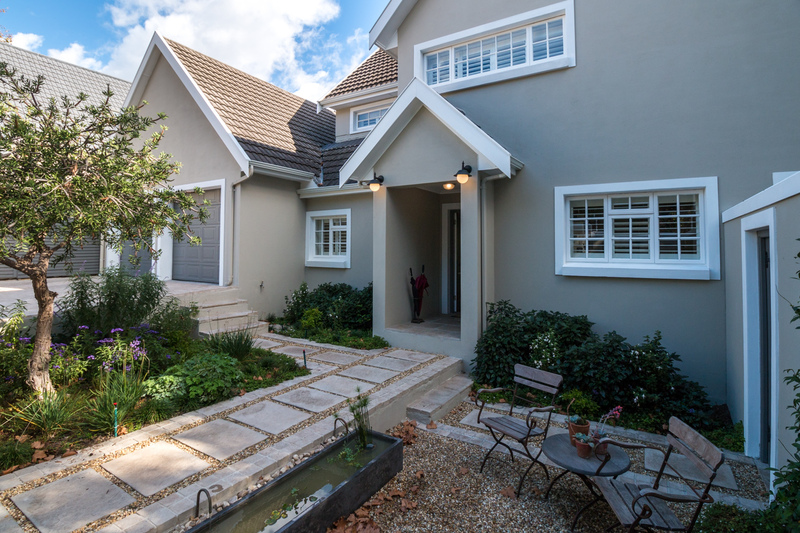 While selecting a paint colour for the exterior is a matter of personal preference, there are a few considerations to bear in mind that will help with colour choice. This is a DIY project that can make a difference to the kerb appeal of your home. From the front door to the roof, it’s easy to give your home a facelift with the right products. 1. White and lighter colours show dirt easily and bounce light off the walls. While this is an advantage inside a home, it can cause glare if your outdoor or garden area is situated close to exterior walls. Keep white as an accent colour for use on trim, barge boards, etc. 2. Mid tones like taupe and grey are trendy colours that can be used to accentuate architectural detail and give a home added curb appeal. These colours don’t show dirt as easily and will last longer than lighter hues. Use a single paint colour for large expanses of wall and a second or third colour for accents and trimmings. 3. Keep dark colours for accents or trimmings, as these colours tend to fade quickly and look washed out. 4. Use a single paint colour for large expanses of wall and a second or third colour for accents and trimmings. An accent colour can be white or black, or a lighter or darker hue of the colour used to paint the walls. 5. While it’s fun to experiment with bold, bright colours, you don’t want your house to stick out like a sore thumb. It’s also costly to make a mistake and have to do the entire job over again. 1. Don’t give the job to the first person that answers the phone. You want references to assure that the company can deliver quality from start to finish. Find out if the company does the work themselves or uses subcontractors. You ideally want to know that the job is supervised at all times. 3. Obtain at least three quotations from reputable contractors. That way, you can assess the scope of work required and the price quoted. A good contractor will visit your home to give a written cost estimate. Bear in mind that the lowest bid is not always the best. As with everything in life, you get what you pay for. 4. Before you sign, do your homework and follow up on references provided. Feel free to ask for multiple referrals, as recent as possible, to assess the company’s scope of work, time for completion, quality and client satisfaction. 5. Find out if the company does the work themselves or uses subcontractors. You ideally want to know that the job is supervised at all times. 6. Ask what paint will be used for the project and confirm colours. Knowing what brand of paint will be used will determine the lifespan of the project. Also ask to see colour swatches, so that you can accurately determine how your house will look once painted. 7. Ask what needs to be done to the exterior of your home. Proper preparation is key to a successful painting project. If there are cracks, these will need to be attended to and signs of damp should be treated. Make sure the contractor covers any defects in their contract.